Specialty Coffee Roaster and Cafe of the West Bottoms. Categories: Coffee Ratings and Coffee Reviews. Origins: Ethiopia. Flavors: Brown Sugar, Caramel, Dried Fruit, Juicy, Marzipan, Medium Body, Red Plum, Slight Berry, and Tannic. Brew Descriptors: Caramelly, Citrus, and Juicy. 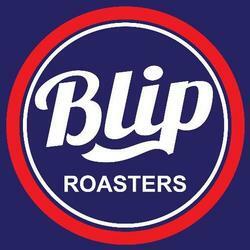 Roasters: Blip Coffee Roasters.